Chile’s Atacama Desert is a 41,000 sq mi strip that, aside from being little more than stones, salt lakes, sand, and lava flows, is also the driest non-polar desert in the world. The Okavango Delta is an area in Botswana that, along with being extremely arid as well, is also home to some of the most dangerous animals in the world: African bush elephants, hippopotami, Nile crocodiles, lions, hyenas, and rhinoceroses, just to name a handful. Norway, along with being known for the massive, beautiful fjords that populate its North Atlantic coastline, is also known for its incredibly cold winters, dipping down to -40 degrees Fahrenheit. With those destinations in mind, you, and any other layperson for that matter, would likely bring along geographic- and climate-appropriate equipment when visiting places like them: huge water reserves, big guns, and dense winter gear, respectively. In fact, it is difficult—at least for me—to think about it any other way. But Cody Lundin, survival expert and former star of Discovery Channel’s Dual Survival, is one of the few people that may beg to differ. When visiting the Atacama Desert, he only began his journey with one quart of water. When visiting the Okavango Delta, he had little more than a small knife for protection. When visiting Norway in the dead of winter, he needed little more than a thick wool sweater, wool socks, and shorts … SHORTS! His intimate understanding of the regions he visited, relevant survival techniques, and his body’s limitations, rendered more equipment unnecessary and potentially burdensome. In fact, his motto is “The more you know, the less you need.” One might say that his modus operandi is the epitome of lean, efficient operations that rely on deep knowledge, preparation, and all around toughness. 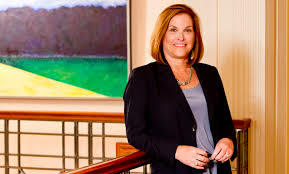 With her firm’s lean, performance-oriented modus operandi, Louise Wells, managing partner of Morris, Manning & Martin (M3), is the “Cody Lundin” of law firm management. In the middle of one of the most challenging legal markets to date, she drives the profitable operation and expansion of her 250-lawyer firm without a partner-contributed capital base. Their operations and expansion each year ultimately derive solely from revenue. A (quite) intimate knowledge of her firm’s attorneys, operations, and client base allows her to run a lean, nimble, and progressive firm without a parachute of capital. Parnell: To be a very effective CEO can take a life time to do. To be a very successful attorney can take a life time to do. A contributor to leadership’s success often lies in doing the job full time; that is a major step on the firm’s end, in and of itself. What are your thoughts on lawyers as managers? Wells: I’ve heard it said that lawyers are not equipped to be managers. But, on the other hand, having done both, now, I’m not so sure that an outside manager who has never experienced that pressure of practicing law could ever really understand what it is like to try to get excellent work out to the client with a short deadline, for instance. If you are a managing partner, and you think that you are herding cats all day—which, I hate that expression—you probably don’t have the right mindset. I don’t think I am herding cats! I am striving to help my attorneys be better every day! I am leading independent, talented, aggressive, opinionated people; I will agree with that. But those qualities are what make a great law firm! Parnell: What are you looking to do with the firm over the next five or ten years? Wells: You have to have a growth plan in place, and it can’t just be growth for growth’s sake: “It would be good to have X-number of lawyers, Y-number in revenue, Z-number of cities.” It has to be much more deliberate than that. As we grow, we grow very cautiously, and are very purposeful about it. Parnell: Have you engaged any mergers in the past? Wells: Never. When the firm started, about 37 years ago, I was the tenth lawyer; my number in the computer was “10.” As it has grown to where it is today, we’ve certainly brought in laterals over the years, but we’ve never done a merger. Parnell: While I have my own assumptions, I’ll ask you these questions directly: What drove the decision to grow in such a controlled and deliberate way? What is the thought process behind this? Wells: We have looked at mergers over the years, and certainly this year we were approached by many firms because our numbers are strong. We will listen to anyone; we will review anything; we will learn about other law firms; but mostly I think that it comes back to culture. [Controlled growth] allows us to preserve the culture that we think makes us unique, and to ensure that the same level of work standard goes out the door, and to come out each day knowing who your partners are. Parnell: How would you describe your culture? Wells: We are a real partnership. I think that, that is our strength. Everybody has a seat at the table. Everybody has access to me. Everybody has access to all the same information. I will listen to everybody. And while the “big guys” might get my ear first, everybody gets their say, and [gets] to have their opinions. And, so, it is a partnership—more traditionally than most firms are, I think. Having said that, it has to be run like a strong business. And we do run like a strong business. If you are not producing, [management is] right there, helping you figure it out. We run very leanly, and all of our partners perform well. We also work together and perform because everyone is invested in the firm’s [day to day success]. We don’t have capital contributions, which is unusual. What that means is that when we bring in a lateral partner, we have to agree that this is where we [as a firm] want to go. Parnell: That is really interesting. How are you managing operations without contributions? Where is your working capital coming from? Is it solely from revenue? Wells: Yes. We take contributions a little in the beginning of each year for capital improvements, but we pay it down. It is pretty amazing; it really is a good place. I am telling you, we are unique! The absence of capital contributions is an interesting thing, too, because it is a bar to growth. While growth has to come at a price, managing access to capital is also a bar to super-fast growth, or mistaken, unhealthy growth—this can be a good thing. Parnell: If you do decide to use debt in lieu of capital contributions, what do you use it for? Wells: We only borrow for capital expenses and some of the costs of growth. We never borrow to pay draws. Parnell: With some of the failed firms over the decades—actually a sizable portion of them—their major issue was that significant growth was capitalized. They either took out loans or revolving lines of credit, and/or signed major leases on offices that were not filled, hoping to eventually fill them and bring in the business. You know, perhaps more than most, law firms run very leanly. Debt that can’t be paid for can quickly become a problem…. What types of policies surround your financial hygiene? Wells: The executive committee and our CFO meet weekly. In that meeting we review all files that the firm has invested a threshold-value amount of time into that are unpaid or unbilled for more than a month. Then we determine how to proceed with the file. That is, should we be talking to the attorney, pursuing collections with the client, etc.? Morris Manning sends all partners daily collection reports, bi-weekly time reports, and monthly financials. We have a full-time person on staff to handle collections. All write-offs over 10% must be approved by management. Also, an important difference from other firms—I think—is that our CFO/executive director is, basically, in every meeting, so she knows all aspects of the firm and how the pieces compare and fit together. We rarely make a financial decision without consulting with her—similar to the way any business interacts with its CFO. Parnell: How much diversification do you maintain in your client base—so as to prevent big dips? Wells: As it turns out, no one client makes up more than 5% of our total revenue. Some years, there have been larger percentages attributed to one client, but overall we are well balanced in our practices. Parnell: What types of policies surround performance and production? Wells: We do have some positive and negative responses—mostly financial, but not too onerous—for attorneys who do not record their time twice a week and who do not get their bills out by the 18th of each month. Also, our CFO, I, or the practice group leaders, are constantly in discussions with all partners regarding time and bills. Parnell: How are you tasked with disciplinary measures? How does the firm go about executing them? Wells: We discuss action at the executive committee meetings, and then again at our Management Committee meetings, if an issue advances to that level. If it is determined that something must be done, I have the discussion with the partner and set deadlines and follow up with them. We try to balance compassion against sound business decisions in these matters. Associates are usually addressed by the practice group leader or the partner they work with for most of their time. Parnell: What kinds of profit margins do you aim for? Do you actually achieve? Wells: We aim high: we always strive to improve our margins and we actually achieve around 43%. And if you include benefits and other ancillaries in partner compensation, the net paid to partners is more like 50%. Parnell: What would you say are the top two initiatives that law firms of your stature should be doing at this point in order to remain competitive in this market? Wells: I think that they need to focus on a number of things: Strong practices and strong geographical locations; being fiscally responsible, of course; being sure that everyone is producing. I also think that they need to focus on their youth. We made the [youth] commitment for our firm two years ago—and this is a huge commitment—to invest a million dollars in the hiring and development our young people. Parnell: As a female managing partner, have there been any unique, female-specific challenges or biases that you are dealing with? But, no, I don’t really think so. I had a huge practice before I took on the management role, and I think that I had their respect before. So I feel like I walked into an already-welcoming atmosphere. It seems to me that it is a balance: if you are too harsh or too soft, [the partnership] will have something to say about it. But as far as my time here is concerned, I haven’t seen different treatment one way or another.